June Foray, known to generations of cartoon lovers for her iconic voice roles like Rocky the Flying Squirrel and Looney Tunes’ Granny, has died at age 99. 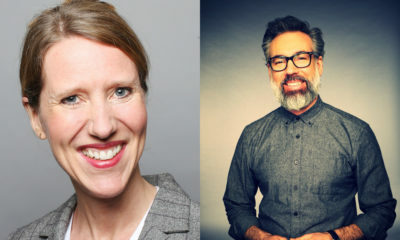 The news was made public late Wednesday evening. Foray would have celebrated her 100th birthday on September 18. 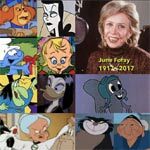 Foray’s hundreds of acting credits include other popular characters like Natasha Fatale (The Rocky & Bullwinkle Show), Magica De Spell and Ma Beagle (DuckTales), Jokey Smurf, Witch Hazel (Looney Tunes) and Cindy Lou Who (How the Grinch Stole Christmas). Continuing to work well into her 90s, the leading lady of animation reprised her classic roles and took on fresh challenges for a range of projects like The Marvelous Misadventures of Flapjack, The Garfield Show and Disney’s Mulan. She donned the Rocky mantle once more for Gary Trousdale’s Rocky and Bullwinkle short in 2014. Born June Lucille Forer in Springfield, Massachusetts, Foray started working in local radio dramas as a child, and continued in radio after graduating high school when her family relocated to Los Angeles — in addition to frequent appearances on popular shows, she had her own Lady Make Believe show. Foray also worked at Capitol Records making children’s albums and comedy records. Foray’s long career in animation began when the Walt Disney studio approached her to play Lucifer the cat in Cinderella, which led to a series of gigs with the studio — mostly uncredited. She had a starring role in the 1952 Donald Duck short Trick or Treat as Hazel the Witch, a name and occupation combination that would prove quite popular in her character roster. Through the 1950s, Foray also worked with animation icons Tex Avery, Walter Lantz and Chuck Jones. Her best known work was in Jay Ward’s The Rocky and Bullwinkle Show, which ran from 1959 to 1964, playing Rocket J. Squirrel and villainous Russian minx Natasha Fatale. Foray also worked on other Ward toons, playing Nell in Dudley Do-Right, Jane in George of the Jungle and Marigold in Tom Slick. You can watch an in-depth Archive of American Television interview with Foray about her voice acting career here. 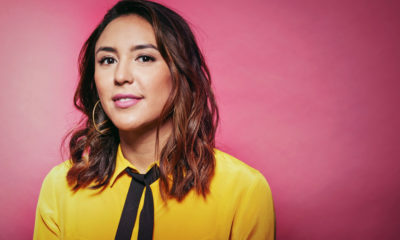 In addition to her career as a performer, Foray played a key role in the animation industry as one of the original members of ASIFA-Hollywood, founder of the Annie Awards, and lobbied for 20 years for the creation of the Best Animated Feature Oscar — a goal which finally was met when the first award was bestowed on DreamWorks Animation’s Shrek in 2001. Foray received a Daytime Emmy in 2012 for playing Mrs. Cauldron on The Garfield Show, and was honored with a Governor’s Award in 2013. Her many achievements have also been marked with a Walk of Fame star and a Hall of Fame Award from the World Animation & VFX Summit. 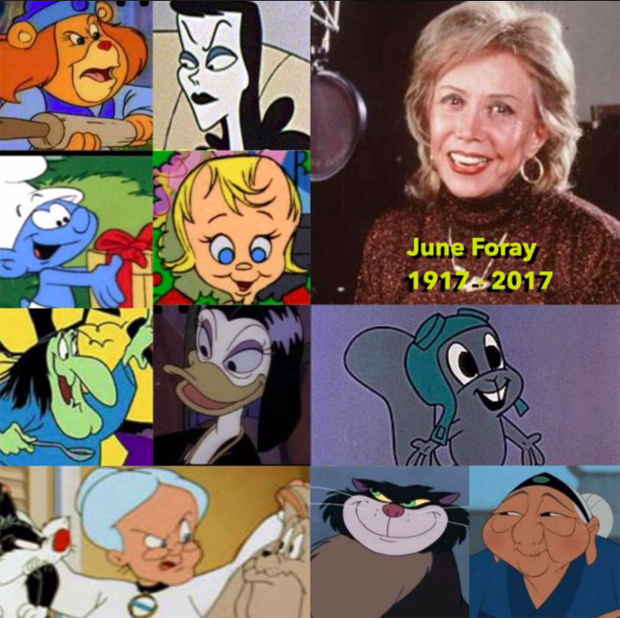 A documentary about her life and career, The One and Only June Foray was released in 2013.